There is an imperative, universal need for bystanders to play a more active role in responding to emergencies that result from accidents, medical emergencies, and acts of violence. Trauma is the leading cause of death between the ages of 1-44. An estimated 30,000 traumatic deaths could be prevented each year if medical care was started sooner. Severe bleeding can become fatal in less than 5 minutes, and airway issues can cause brain death in as little as 6 minutes. Since the average ambulance response time is around 9-15 minutes, a bystander is frequently a victim's best hope for survival. Unfortunately, bystanders don't always have the knowledge or equipment they need to intervene. 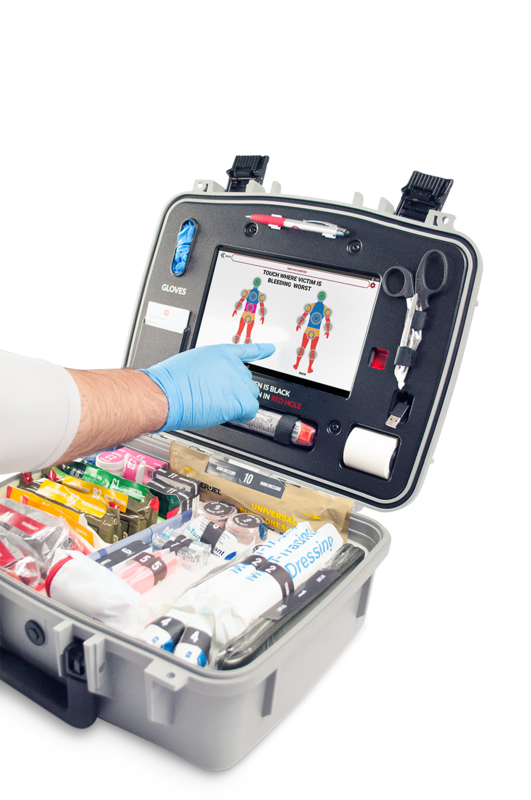 The Mobilize Rescue System is the only interactive trauma and first aid system capable of helping untrained bystanders assess, manage, and monitor a spectrum of medical emergencies according to the protocols and best practices of the American Heart Association (AHA),Tactical Emergency Casualty Care (TECC), and the American College of Surgeons. 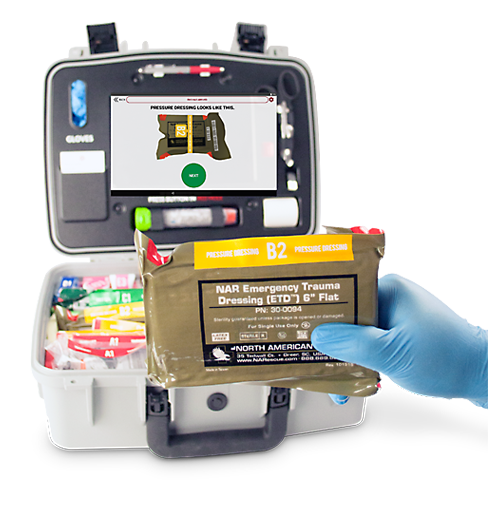 The Mobilize Rescue System includes instructions and supplies to manage severe bleeding, cardiac arrest, seizures, choking, chest trauma, hypothermia, burns, and more - all while the ambulance is en route. While we believe that training is valuable, we also know that it is expensive, time consuming, and that the usefulness of training decreases over time. CPR/AED & First AidTraining courses are approximately 6-8 hours long, and range in cost from $80-$120 per person (a cost that is magnified during yearly re-certification). Recent studies have shown that two-thirds (67%) of CPR course participants will fail the hands-on skills exam 90-days post-training, and that 92% will fail 1-year after training. 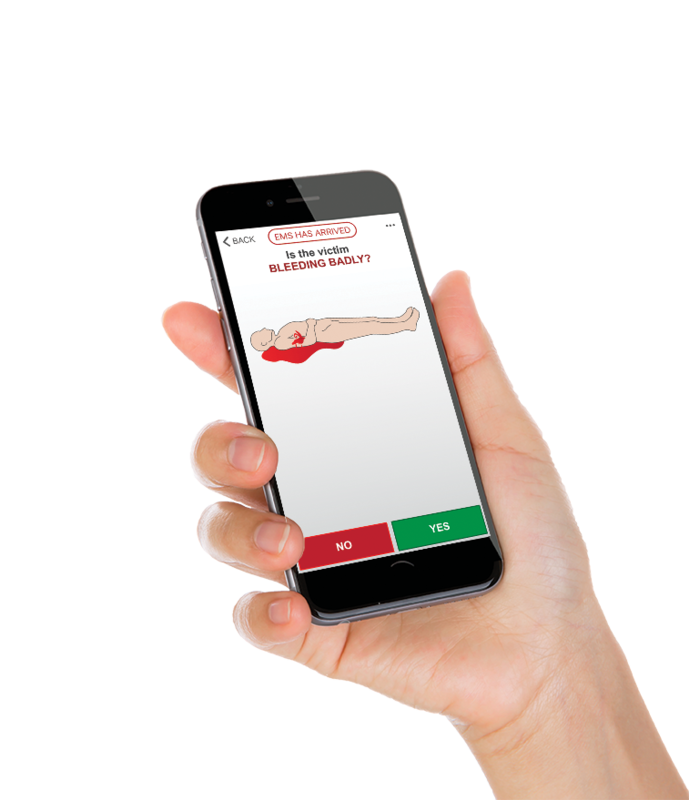 The Mobilize Rescue app ensures that even if training is forgotten, high quality medical care can still be provided by following the diagnostic prompts in the app. Mobilize will send out monthly email reminders for you to verify that your medical supplies are up to date and the technology is properly maintained (so that you can replace products that have expired and ensure you have properly charged your unit). We will also send an email to alert you when new app features become available, or medical protocol updates have been made to reflect the most current medical best practices.